I wanted to take the time to write to you and extend my sincere gratitude for all you did to help me in Mabel's care during her short life. Mabel Audrine was 2 1/2 years old when I enrolled her in hospice after a diagnosis of a very rare degenerative brain disease called NCL, or better known as batten disease. Because it is so rare, Mabel had symptoms so young, we had tested every gene and still could not figure out which one was disease-causing, and her specialists knew so very little about it to begin with; they led me in your direction. By this point in her life, comfort care was already incredibly necessary. Mabel's brain quite literally rejected itself and her body daily. 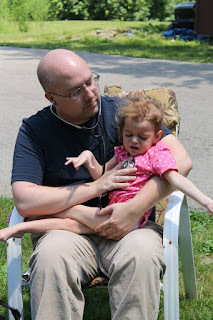 Batten disease caused her to have seizures 80% of the time, constant jerking movements, excessive and excruciating screaming that would sometimes last for weeks; she could not eat, sit, or see. Her brain was actively shrinking, as were her muscles and her body could barely sustain itself. I will never forget the first day that OSF entered the picture for us. Immediate relief came in the form of a medication that other doctors had not been willing to give based on the goal of treatment rather than comfort. Making the mind shift to comfort care came easily for me as soon as I received her diagnosis, which is actually when I was filled with incredible peace. Mabel had been screaming for 3 weeks to the day when a soft spoken, tall nurse named Michelle entered our home and made the call that changed everything. I will forever feel grateful to her for that. For the next 2 years and 5 months we had two main nurses who cared for Mabel. Jason and Michelle not only loved her but they gave her the kind of exceptional, incredible, inspiring care that I hope all healthcare workers would hope to achieve in their careers and for the hearts of their patients. They listened to me, as Mabel's mom and trusted me. And I learned very quickly to do the same with them. 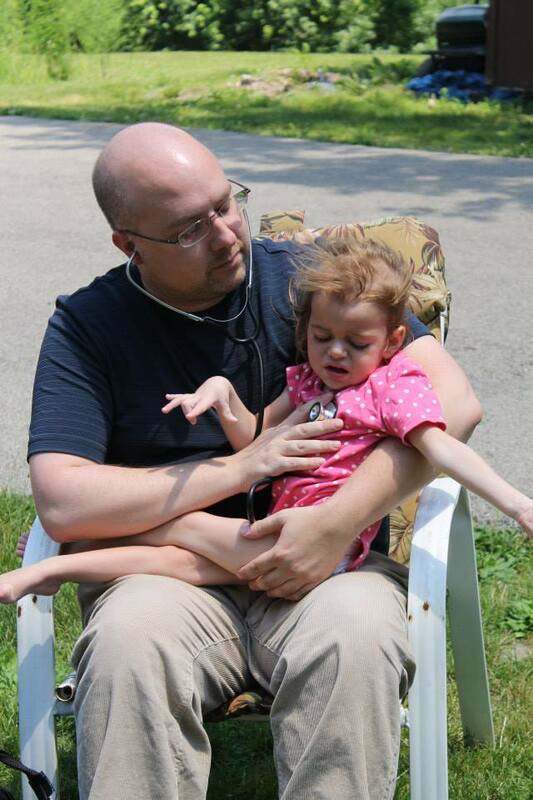 We depended closely on each other to get our girl through the very difficult days of her short life. The bonds I formed will literally be lifetime friendships but more than that, Mabel was blessed beyond measure to have felt the kind of love and devotion that she did from these two beautiful humans who saw her more frequently than even some of her own family. I always understood that Mabel's 'case' and our situation was unique to the hospice team. 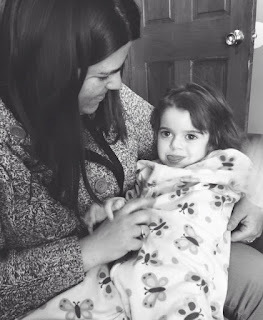 With a diagnosis of batten disease, and with very little research about what type she may or may not have, we were always uncertain how long Mabel would live. 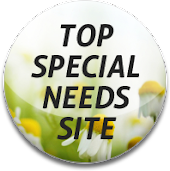 But through research and by asking questions of other rare disease families, I learned that it is not so uncommon for our children to live on hospice for years at a time, receiving the kind of care that only you can provide for our kids. I have said it all along and will continue to say it forever: It is without a doubt, the greatest decision I have ever made as a mother to enroll Mabel in your care. We were not always able to bring her absolute comfort. We were not always able to calm her body completely. We were not always able to get her to rest or to sleep. But what we were able to do was try. There were phone calls made, hugs given, tears shed with a team of people who wrapped me up tightly in their arms and promised that I wouldn't have to walk this alone. And from the day that I signed the paper work to this day, 3 weeks after her death, I can say with certainty, I never once was. My prayer is always that a healthcare team would never come face to face with batten disease or another rare disease like it. My hope is truly that. But I pray if that is the case and you experience having to care for a precious child like Mabel in the future, that the family would feel as surrounded, loved and taken care of as I was. Dr. S, thank you for your patience, understanding and genuine empathy. Thank for going above and beyond in the care for my daughter. In the end, it meant everything to me. The days leading up to Mabel's death were emotionally exhausting. Batten disease causes a build up of waste in the muscles, eyes, and brain. If not disrupted by pneumonia or other common illnesses that steal a child's fragile life first, batten disease eventually shuts down parts of the body one system at a time. In Mabel's case, her stomach stopped working correctly over a period of about 12 weeks and eventually shut down completely. When we realized that she was not absorbing any of her food, or medication and were certain that her liver had also shut down; it was within 24 hours that Mabel left my arms for the arms of Jesus. We were in the comfort of our own home, surrounded by our family. We had time to prepare, surround one another and console each other. We were able to hold her, sleep beside her with no machines or the noise of a hospital staff. We were given the ultimate gift of time, comfort care and essentially freedom to usher our child into Heaven the way we believe was best. And that is a priceless, limitless gift given to us by your team. The jobs that you do, the people you encounter, the stress of every day; I can only imagine how difficult it all must be. But when you feel disheartened, weary, or frustrated in it all, please think of my beautiful girl and know that it is absolutely worth it. Without you, our lives would have looked incredibly different and I'm forever grateful. Thank you for the long journey you endured with us and for us. Thank you for standing in the gap for our family in a time when other doctors didn't have the answers. The only answer that I ever needed was a way to provide as normal of a life for Mabel as I could give her and you helped me to do so. She was loved every single day in a way that I can never explain. She deserved the very best care and I always knew that as her mother, I was the one who could give it. You helped me to do so and that is something that I can't thank you enough for. With all of my heart, thank you. I appreciate you all. There is such purpose in the gift of what you do for families like ours.